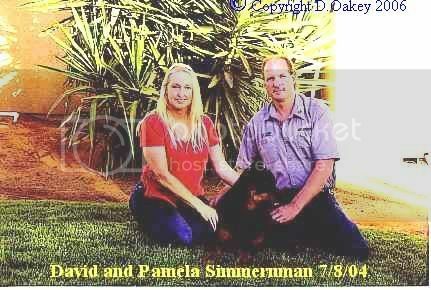 My name is Pamela Simmerman. I have been looking for old pictures of the house I used to live in when my father was stationed at Brize Norton 1955-58. He was USAF. 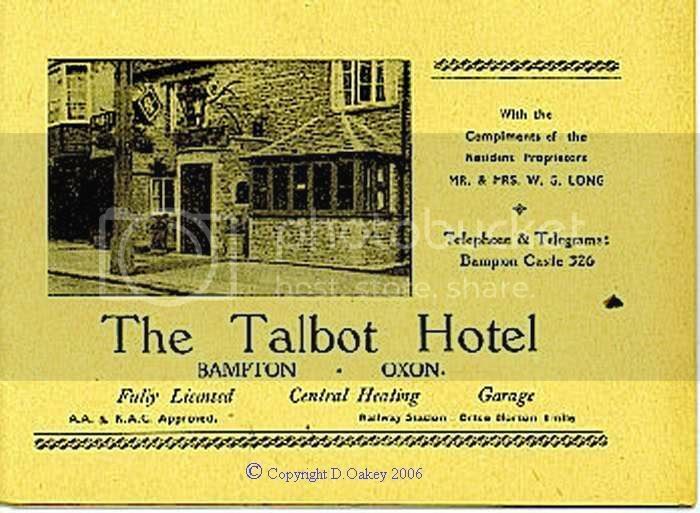 Before we moved to "Maryville" Carterton the house just outside the camp gates on he Black Bourton rd we lived in Bampton at the Talbot Inn. We lived there for 1 1/2 years. Our apt. was the one with the window over the garage at the front, and extended to the back. We loved it! Dinner each night with all the guests. 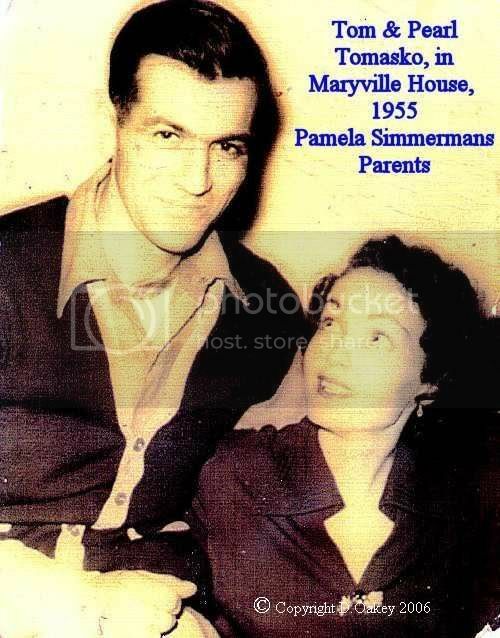 The owners then were Bill and Mamie Long. They had a dog called "Sue Sue" a golden retriever. Down the street from the Talbot was the butcher shop. I was friends with the butchers daughter. 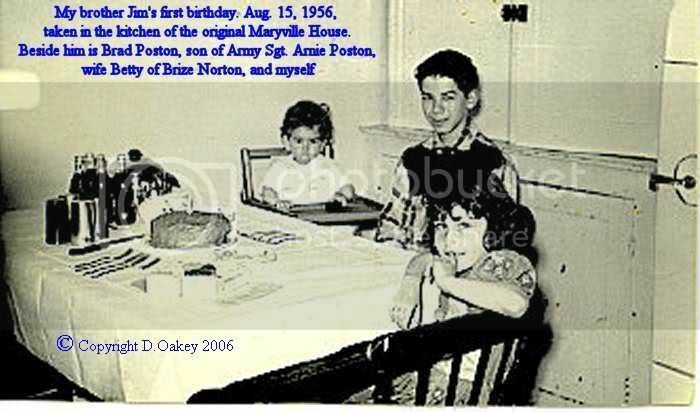 Her name was Jane (wish I could remember her last name) and we were around 5 years old. Her dad would play and chase us upstairs with the meat cleaver! (Here in the States I'm afraid they wouldn't see the humor in that!) 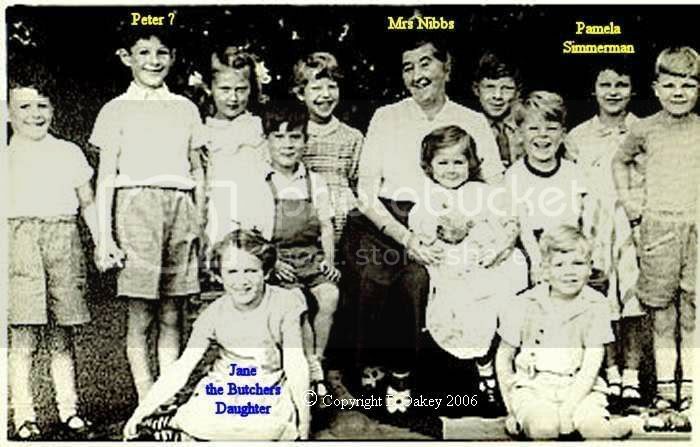 I have a picture of her, a friend named Peter and myself and other classmates along with the teacher,taken at a private school. I will have to find out the name of the school. The teachers name was Mrs. Nesbitt I believe. I really loved it there in Bampton and Brize Norton. I recall playing by a stream with beautiful bridges and making "lily pad flowers" and following them downstream. Romping thru fields. It truly was a childs dream type of childhood. On foggy nights when you could barely see your hand in front of your face, we would walk to get fish & chips. 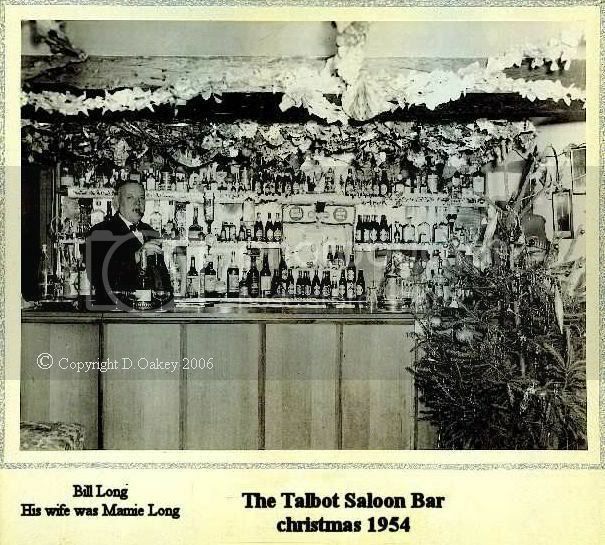 My mother tells me that the "Sir" who crowned Queen Elizabeth used to come to the Talbot and he would sit me on his lap and talk to me in the parlour by the fireplace. (I don't know how accurate she is, or if I made sense of that one!) My parents used to play darts in the Talbot and the Firemen would be there playing also. If my memory serves my right, the fire station was across from the Talbot. I used to wait for the trucks to put on sirens and dash out! Anyway!